Musetta is a signature role. Her Musetta in Stefan Herheim’s inventive 2012 production at the Norwegian National Opera was called “infernal” by NRK, the Norwegian Broadcasting Corporation, and Opernwelt called her a “ravishing Musetta." 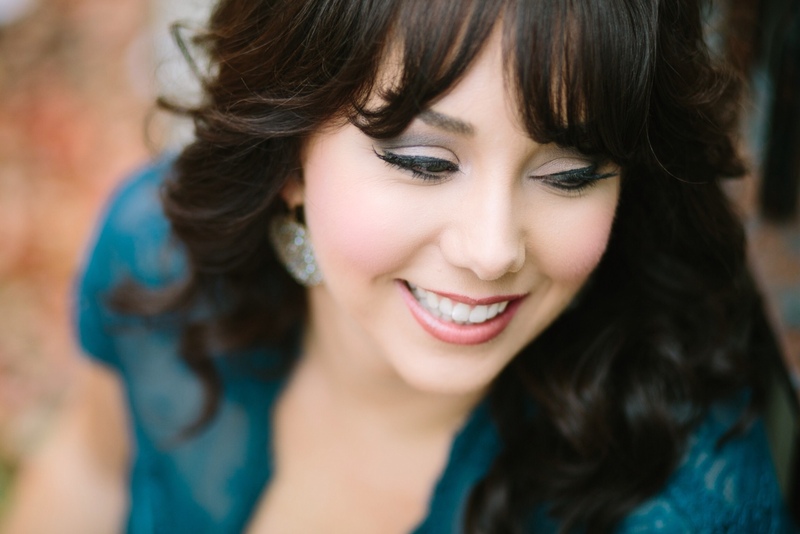 The Toledo Blade wrote of her Musetta at the Toledo Opera, "Musetta [was] played to the hilt by Jennifer Rowley, a young and robust soprano who shamelessly stole every scene she appeared in—just as it should be." In service of her upcoming debut I felt it my duty to help spread the word about the wonder that is Jen. We exchanged a few emails with questions and answers, and I am happy to present a profile, Taminophile-style. Q: So much has happened in just a few years, since your debut at Caramoor! Your career has grown so fast! Can you tell a little bit of the story behind the surprise debut itself, and any growing pains for your career, any particular challenges in rising so far so fast? A: The story behind the Caramoor debut is such a fun one for me to tell! I was a young artist at Caramoor in 2010, and was covering the title role in Maria di Rohan. I had auditioned for the sole purpose of getting to work with Will Crutchfield on bel canto style and technique. Maria di Rohan was instrumental for me in finding my real voice. I had been singing coloratura repertoire before that, but the voice was growing and changing quickly! Will heard this and thought that the role would be a good fit. Fast forward to the morning of the dress rehearsal. The stage manager pulled me aside and said that my colleague was ill, and that the maestro wanted me to sing the dress rehearsal. I thought to myself, when am I EVER going to get to sing this amazing music again, with orchestra? OF COURSE I will sing! I had never sung the whole thing through before, let alone with orchestra. It was amazing. ALL of my colleagues were immensely supportive, and when it was over, I felt like I had left my heart on the stage. Then I found out I was to sing the performance! I had more support than I ever could have asked for. When I finished the first cavatina, and the audience roared with applause and I knew this was going to be an amazing evening. When the performance was over and I walked out for my curtain call, the ovation that hit me when I stepped on stage took my breath away. There is a picture of me that was in one of the papers, where I am holding my chest and have my head down. My very first New York Times review was a rave. I have that page framed and hanging in my hallway, a constant reminder of where it all started, and how grateful I am for it. A: As far as growing pains, I was ready, but I had some work to do. My growing pains had really happened when I was struggling to find the repertoire that was right for me, and I had finally cleared that hurdle. The experience garnered me auditions with some of the most prestigious companies in the world. I did a TON of auditions the following fall. I did some amazing competitions as well. I really felt like I had finally FOUND my voice. The auditions I did that season turned into some incredible gigs, and off I went. I had a year in between the Caramoor debut and my next major international debut to really get my technique solid, and get myself ready to GO! I built an incredible team in that year to prepare me, and now, that team is my foundation. I needed that year though—I needed that time. I am incredibly grateful to all of the people who helped me prepare for where my life is going now! Q: It must be a thrill to be singing with people at the career level of your colleagues at the Met. Are you sometimes still the star-struck girl from Ohio? A: I am ALWAYS the star struck girl from Ohio! I still can't believe that I stand on stage every day with international superstars! I am the baby in a cast of stars. I feel like I still have SO much more to learn! My colleagues have stamina that comes from years and years of experience in the business, on stage with orchestras. I soak up everything that they do like a sponge! I feel like I learn something new every day from some one different. Q: It is clear you have both a keen business sense and an unshakable confidence your brand, in the Jennifer Rowley that you're selling to the world. How much of that is nature, how much nurture, and how much school of hard knocks? A: I really like that you call it a brand, because it really is. I always tell other singers who ask for my advice that you have to be the CEO of your own company. I have just found that you have to be the biggest believer in what you are selling, or there is no point in selling it because the consumer won't buy it. And you have to be consistent with every detail from how you present yourself, to what kind of a colleague you are, to how you network. It really is like branding a product. School of hard knocks? Maybe, but think about my years of working in the corporate world before singing full time. 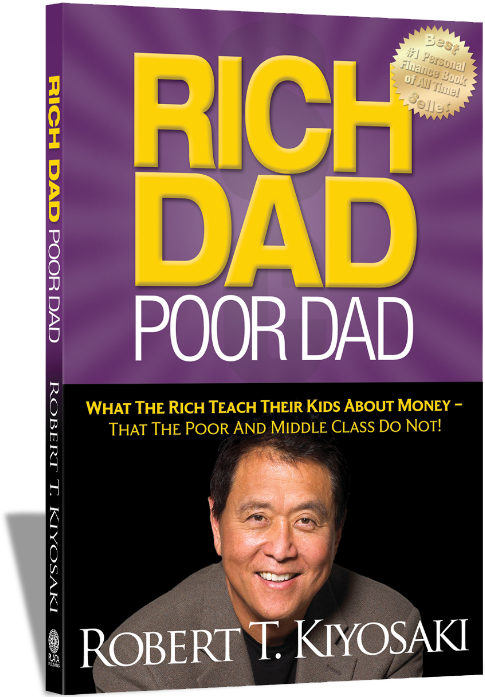 I worked in a buying office for a VERY large New York-based retail store, and for their smaller stores nationwide. Every season, the pattern is the same. The designer has to believe in the line to sell it to a buyer, the buyer has to believe in it enough to sell it to the company, and then once placed on the floor, the sales people have to believe in it enough to sell it to the customer. The same goes for a singer. 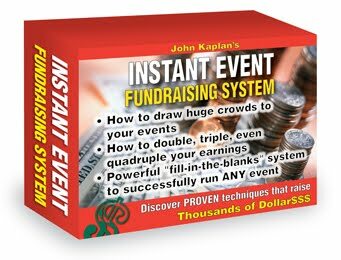 You have to know that you have something to say, what you have to give, and that it is something special in order to get people to invest in it—a manager, or a casting director, or a conductor, or anyone. That takes confidence, not only in yourself, but in what you have to give, the product. You are the designer, your manager is the buyer, and the opera houses across the world are the retail stores that will sell your product. You create it. You have to believe it in. Q: And you have to do the work! 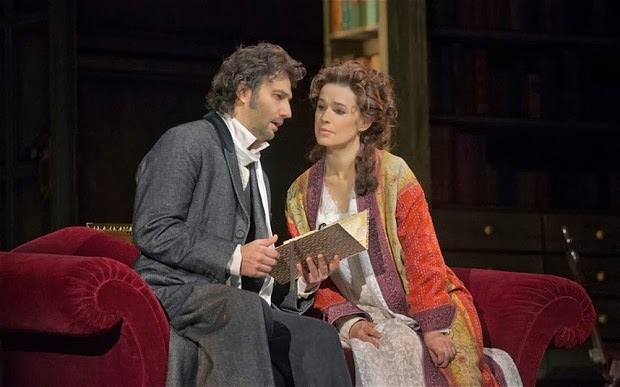 I was delighted on Saturday, February 22, to see the Metropolitan Opera's production of Mr. Massenet's Werther, based on Mr. Goethe's novel, The Sorrows of Young Werther. The 1774 novel created a sensation when first published, an obvious attack on what some considered the overly rational style of the Enlightenment. Passionate young men emulated young Werther, some even attempting suicide in despair over unrequited love. Sorry if that's a spoiler. The girl he couldn't have was sung quite well by Met debutante Sopie Koch, who has sung Charlotte opposite Mr. Kaufmann before, as well as Oktavian, the Composer, Dorabella, and Rosina, at some of the world's great houses. Her Act III solo scene, in which she pores over Werther's letters obsessively, tormented by his long absence, was quite stirring. Although Ms. Koch sings quite skillfully, I found her sound lacking in brilliance, in "shine". I also wondered about her French at times. Other cast members were simply stellar. Lisette Oropesa's Sophie was adorable, her singing completely beautiful and her characterization of the bubbly young girl believable. David Bižić (I don't know how to pronounce it either) was a fine Albert, and left me wishing Albert was a longer role. 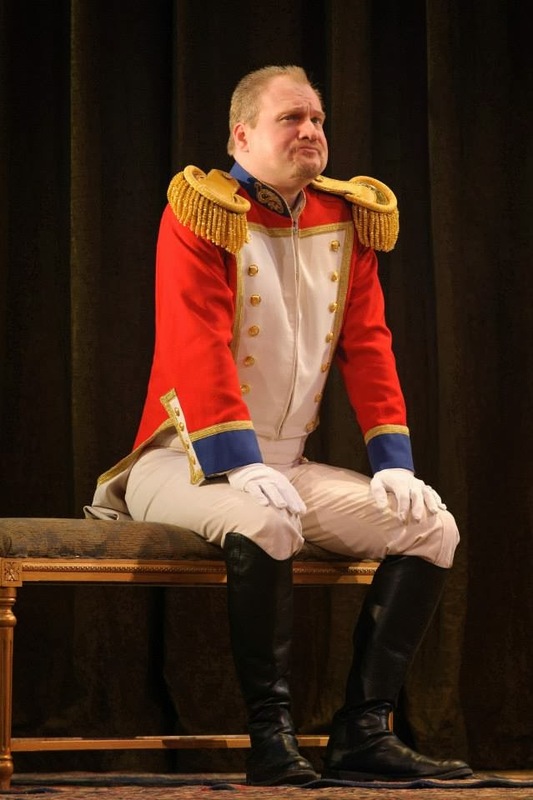 Also notable were Jonathan Summers as the Bailiff, Charlotte's and Sophie's father; and Tony Stephenson and Philip Cokorinos as Schmidt and Johann, the opera's comic relief. The six children playing Charlotte's and Sophie's younger siblings all did a fine job, and children's chorus director Anthony Piccolo deserved the bow he took with them at the opera's end. Visually, this new production is stunning. Set and costume designer Rob Howell, lighting designer Peter Mumford, video projection designer Wendall K. Harrington, and director Richard Eyre all deserve kudos. Projections were skillfully used and unobtrusive, most important during transitions between scenes. 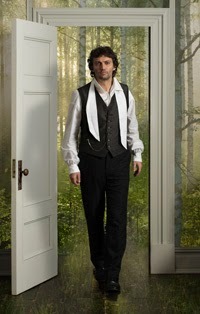 Costumes, inexplicably updated to Massenet's time rather than Goethe's, were quite beautiful. Most dramatic was the Act IV set, Werther's simple room, an elevated box at the back of the stage, which moved slowly downstage during the interlude preceding the act until it was at the edge of the stage. It was quite a stirring effect. Why Christmas carols in July? The opera begins with the Bailiff's children rehearsing Christmas music in July, an early example of elements that seem out of place or not quite right. It also ends with the children singing the Christmas carols* outside Werther's window as he is dying. From Werther's moody and melancholic nature, to Charlotte's clear efforts to act the loving wife to Albert that she isn't, to Sophie's occasional habit of saying the wrong thing at the wrong time, there are many story elements that make one uncomfortable. Mr. Massenet and his librettists skillfully wove them together into an opera that is a jewel of the repertoire, and one we are fortunate to see this season at the Met. *Don't get me started on the correct use of the term carol! 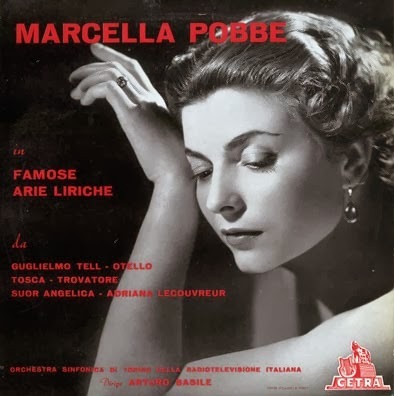 Here is a pretty darn good singer I didn't know until I viewed the Stefan Zucker's documentary Opera Fanatic: soprano Marcella Pobbe. A contemporary of Callas and Tebaldi, she sang from 1949 into the early 1970s, in some of the world's great opera houses, with great conductors and singers. You can see why from these video clips. A live performance of Tosca, Genova, 1965. Toward the end of a long, long career. Rataplan! Rataplan! Rataplan! or Baby, It's Cold Outside! Your faithful servant and scribe has been working in Madison, Wisconsin. Wisconsin. In February. Let me say it again: Wisconsin. Winter. Brrrrr!!!!!! On Friday evening, February 7, 2014, I braved frigid temperatures to see Madison Opera's opening of Mr. Donizetti's La Fille du Regiment, or Daughter of the Regiment. The unlikely story (always a surprise in opera) about a young girl raised as a foundling by the men of a French military regiment in Tyrol has been a favorite of audiences since its premiere in 1840, and has been the proving ground of greats such as Luciano Pavarotti and Juan-Diego Florez for generations. Friday night's performance was full of charm and vigor, and lacking only a tiny bit of polish. The charm was supplied by excellent principals Javier Abreu as Tonio, Catlin Cisler as Marie, and Nathan Stark as Sulpice, as well as an energetic men's chorus. Ms. Cisler's singing and characterization as Marie were good, and she made Marie's stratospheric range and long phrases seem easy. There were times, however--admittedly not many--when one wished for a clearer indication of Marie's thoughts and feelings. With a touch more vocal polish, and in the hands of a stronger director, this could be a singer who goes places. Javier Abreu was full of bumpkin charm, and a joy to watch and hear. He accomplished Tonio's most difficult vocal moments with a casual ease, making the infamous high Cs of "Ah mes amis" seem like child's play. (In fact, Mr. Abreu interpolated a high D at one point!) He is a small man--no problem, since most sopranos who sing Marie are also small--and I think the director missed a few opportunities for comic effect based on his stature. After all, this is sitcom stuff, not Masterpiece Theatre! Nathan Stark, seen in these pages before [link], was clearly the most experienced of the three principals. Although more often than not tasked with portraying serious bass roles such as the Commendatore in Don Giovanni, Mr. Stark was perfectly charming as the oafish Sulpice, leader of the regiment that has raised Marie, and primary father figure to the lass. He made Sulpice lovable, believable and amusing. One wonders whether singing basso buffo roles might prove to be a gold mine for Mr. Stark. He was certainly very successful with this one! A little more polish would have made a good performance truly sparkle. Much of the responsibility for that deficit falls on the shoulders of director David Lefkowich. With more specific guidance from a director, Ms. Cisler's already fine performance could have been quite good, and the male principals, already very good, could have been stellar. The principals--and the highly capable men's chorus--might have delighted the audience even more with more precise stage business. At times some principals and chorus members seemed to be standing about, waiting for what happens next. However, I should mention not everyone I speak with or read agrees with me, and the show certainly was not devoid of charm. My opera-going companion was in tears when Marie left her comrades to live with her aunt, the Marquise of Birkenfeld. One final note. I'm not a big fan of singing in the original language but speaking the dialogue in the local language, as Madison Opera chose to perform this opera. It should be all or nothing. Comedies like Daughter of the Regiment really should be performed entirely in the local language of the audience, with dialogue made timely and relevant, in this reviewer's humble opinion. I can not fail to mention the stunning Capitol Theater in Madison's amazing Overture Center for the Arts. The Capitol Theater was a movie palace in its day, and has been renovated to its former glory, with rich draperies, beautiful architectural detail, and very comfortable seats. In size, in proportion, and in beauty, this theater is quite the fitting place for a gem of a show like Daughter of the Regiment. Seventy years ago, on February 21, 1944, New York City Opera showcased Giacomo Puccini’s Tosca at New York City Center. New York City Mayor Fiorello La Guardia called NYCO the “People’s Opera,” in recognition of the company’s mission to make opera accessible to all. The beloved company went on to launch the careers of some of opera’s most beloved performers, including Beverly Sills and Placido Domingo. 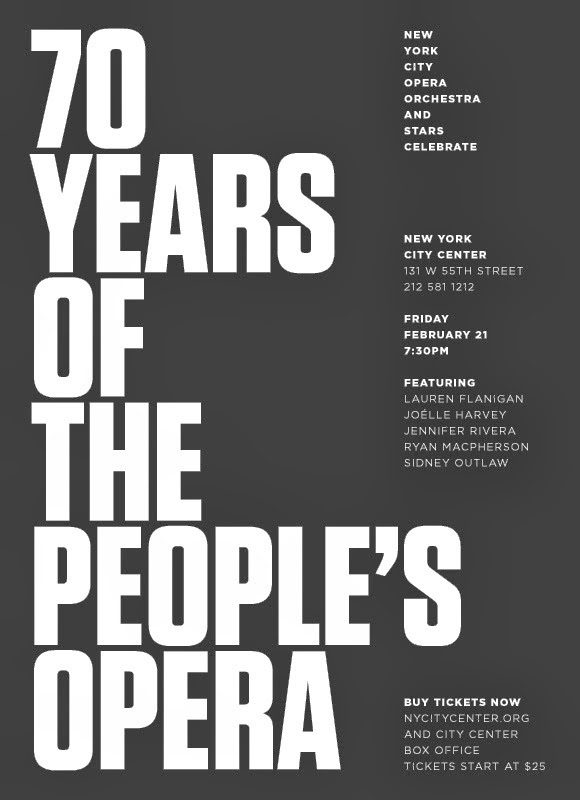 This performance features some of City Opera’s most acclaimed recent performers, including Lauren Flanigan, Joélle Harvey, Jennifer Rivera, Ryan MacPherson and Sidney Outlaw, as well as the full 60-piece New York City Opera Orchestra, conducted by music director George Manahan, and will include selections from The Ballad of Baby Doe, Candide, Carmen, L'etoile, Giulio Cesare, Malcolm X, Martha and Die Tote Stadt. All proceeds will be donated to The New York City Musicians’ Emergency Relief Fund (ERF), a non-profit organization that provides aid to musicians in dire need. The fund has helped thousands of performers through emergency grant assistance. ERF board members include legendary artists Bob Dylan, Paul Simon and Roseanne Cash. While there seemed to be some sort of popular entertainment the evening of Feb. 2, your intrepid reporter entertained himself with videos of the sublime Dame Kiri Te Kanawa. A major star of the 80s and 90s, when your Taminophile himself was an aspiring singer, Dame Kiri has now retired from the opera stage, continuing to sing concerts and devoting herself to educating young singers through her own foundation. Her singing has always been meltingly beautiful. The following clips demonstrate that claim amply. Unfortunately, critics sometimes called her singing "merely beautiful." I hope the clips below will also show the fallacy of the common belief that she was cold and uninvolved on stage. While her style of performing differed greatly from that of performers like Maria Callas, I believe these clips show to her to be fully involved in her characters and in communicating with the audience. A 1978 La Boheme Act IV finale at Paris Opera with Placido Domingo as Rodolfo, Wilhelmina Fernandez (think of the movie Diva) as Musetta, Tom Krause as Marcello. Have tissues at the ready. And this quality 1980s era concert audio recording of E strano...Ah fors e lui...sempre libera (if I have to tell you what that's from, we need to re-evaluate our friendship), again from ROH, on YouTube.